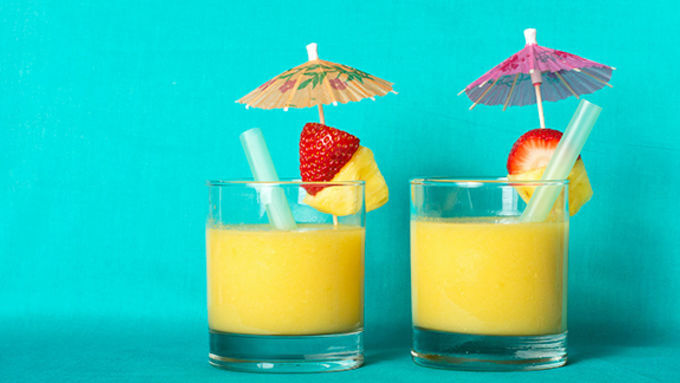 In a blender combine the mango, the pineapple, and the coconut water and blend until smooth. Garnish with some fruit or add a mini umbrella. 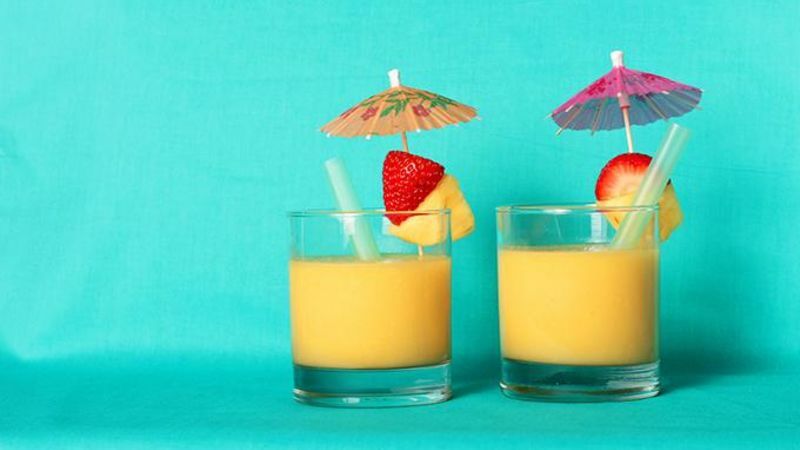 Enjoy the fruity flavors of mango, pineapple, and coconut in this delicious, easy tropical smoothie. Very few things scream the changing of seasons than having a cold smoothie for breakfast – and this one’s perfect and hydrating with the addition of coconut water. There are just three ingredients and we use frozen mangoes instead of ice. 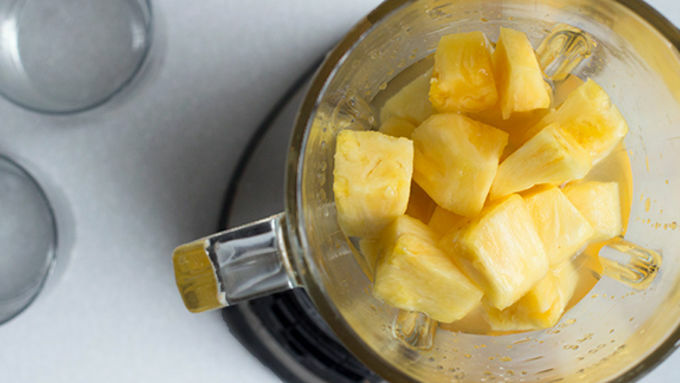 Fresh pineapple adds that sweet piña colada twist and makes for a super refreshing spring treat. Ingredients! Coconut water, fresh pineapple, and frozen mango. You could reverse it with frozen pineapple and fresh mango if you wanted, just make sure one of them is frozen so you don’t need ice. Throw everything into the blender. Blend, done, boom. Garnish with some fruit and if you’re feeling extra fancy, add a mini umbrella.